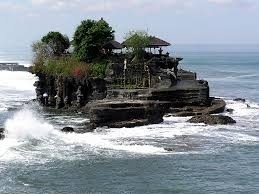 This temple you must see on Bali!Tanah Lot is a coastal temple in South Bali . 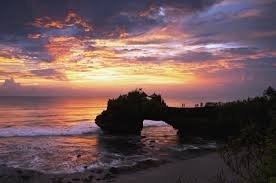 It is also called Tanah Let which means ancient land and also Tanah Lod, which means the land to the south. 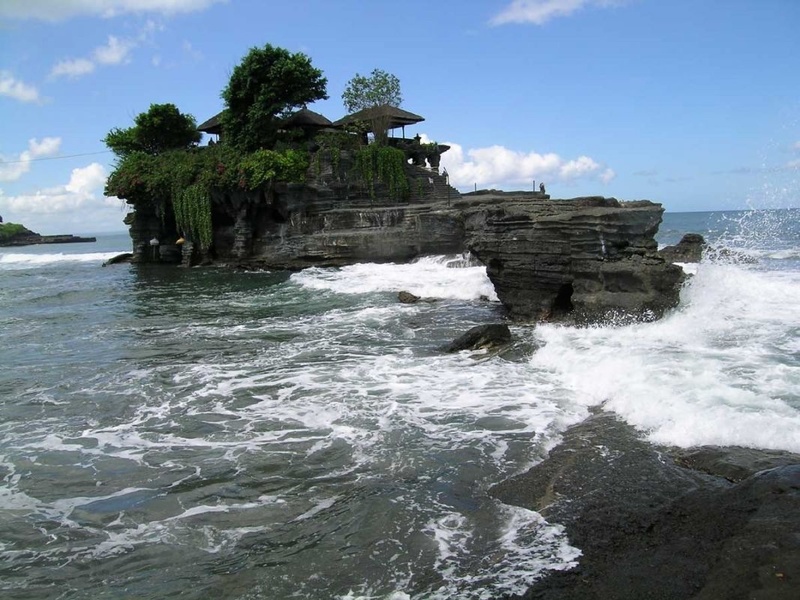 The temple Pura Tanah Lot, simple in its construction, is dramatic in its ocean-front location and is one of the main temples in the worship of Balinese gods. 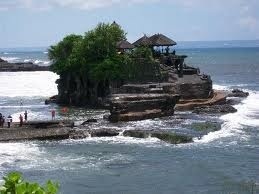 Tanah Lot has a long history in the world of tourism. 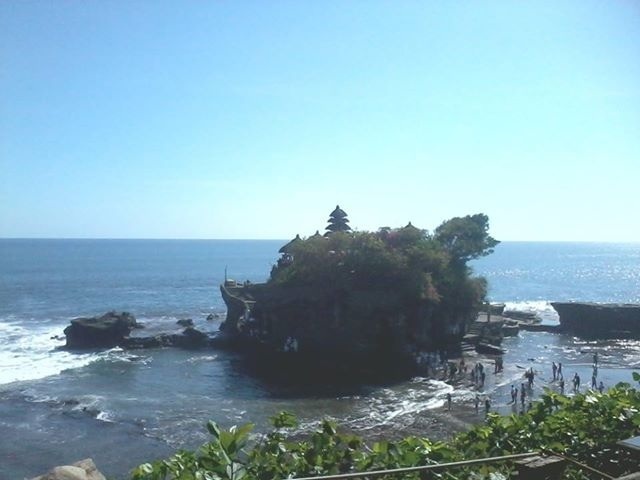 The temple itself is built on a small promontory which is only accessible at low tide. During high water the rock takes on the appearance of a large boat at sea, such is its shape. 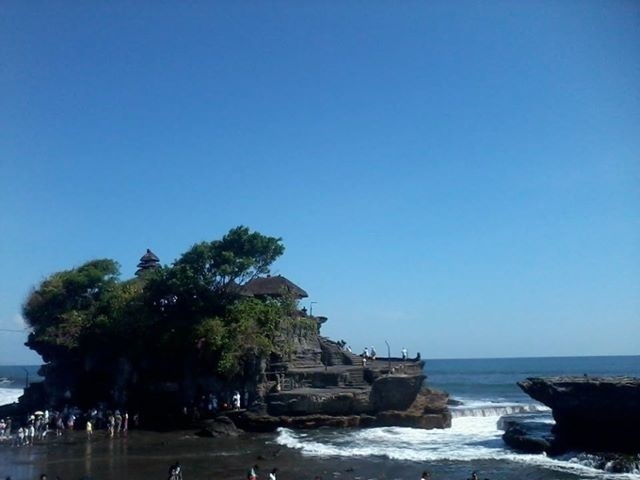 Poisonous snakes live in the nearby caves to 'guard' the temple and contribute to the temple's dangerous reputation. 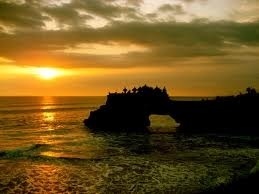 Sunset is the best time to visit Tanah lot, when the golden red skies frame the temple and waves crash into the rocks. 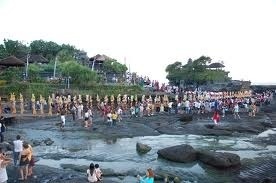 It is advisable to avoid the tourist crush here as it can be severe.